Government to Set a Curfew for Teens...SERIOUSLY?! First it was the smoking ban and now comes a curfew telling us that we can only have fun till 10.00PM?! The Cabinet Committee on the Eradication of Drugs have been in deep thought on implementing this rule following Iceland's study of the juvenile curfew being enforced -- with the hope that it would put a stop to drug-related incidents. "It is a model that we can actually emulate. 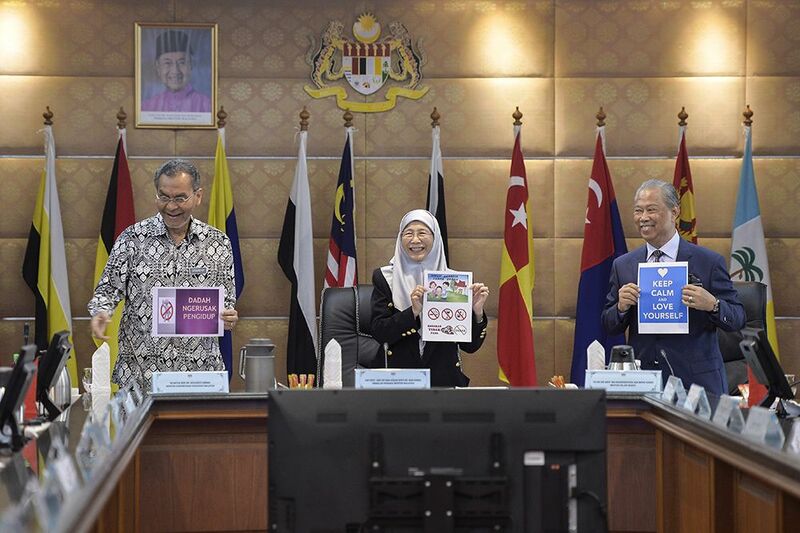 It may be a bit more difficult because we have the Malaysian culture of 24-hour mamak stalls," says Deputy Prime Minister Datuk Seri Dr Wan Azizah Wan Ismail. "We are seriously considering it... because we found that the sniffers, especially, are very young," she continues to explain; targeting to implement this curfew on teens aged 18 and under. Ok, for sure we do not condone young teens taking drugs but do you really think setting a 10.00PM curfew will make any difference? Millennials today are smarter than given credit, and haven't you ever heard the saying "when there's a will, there's always a way?" Having said that, what about the millennials who has never touched drugs? Why are these guys made to suffer over a study done in Iceland??? Err... if you haven't noticed, do you really think it's that easy to get drugs here?! What about the ones who have study groups at night? Are you telling them that they can't study with friends just cause of something being done in Iceland?? Where's the logic in that bruhh?? I can probably see why kids of today can't wait to study overseas and never come back to Malaysia..I mean from all these [email protected]#$% rulings being made, can you blame them? Now it's YOUR TURN to voice out your thoughts on the matter. Do you think Millennials aged 18 and under should suffer with this curfew of being unable to go out past 10.00PM? Take the Survey and let's find out what y'all think shall we? At what Time should our Politicians keep Quiet? MYC! Note: Perhaps it's best if politicians stop playing "parent" and let their parents make these diciplinary decisions. After all, aren't you people too busy with this "smoke ban matter"?? Parents, we can't tell you how to be a parent but we do hope that your kids will be safe out there.